The ultimate screensaver for railway enthusiasts. Detailed locomotives are pulling or pushing authentic trains. Full version includes trains from many countries, it includes more than 2100 pictures of rolling stock from historic trains to modern high speed trains. Various configuration options allow to select the user's favourite locomotives and trains. A user interface enables inclusion of self drawn pictures. Trains from the screen saver can move over your smartphone or tablet display, too. The live wallpaper enables you to watch a train whenever you activate your device to phone, to check for e-mails or for other purposes. 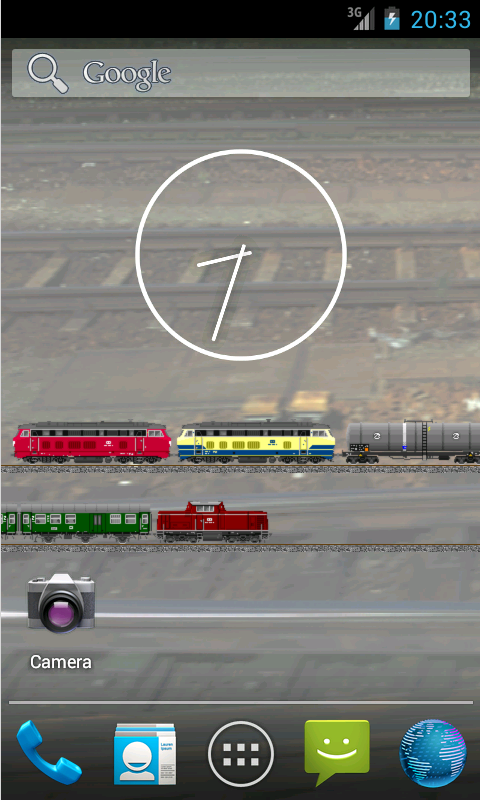 With the MM Railway App a fullscreen railway traffic is possible.